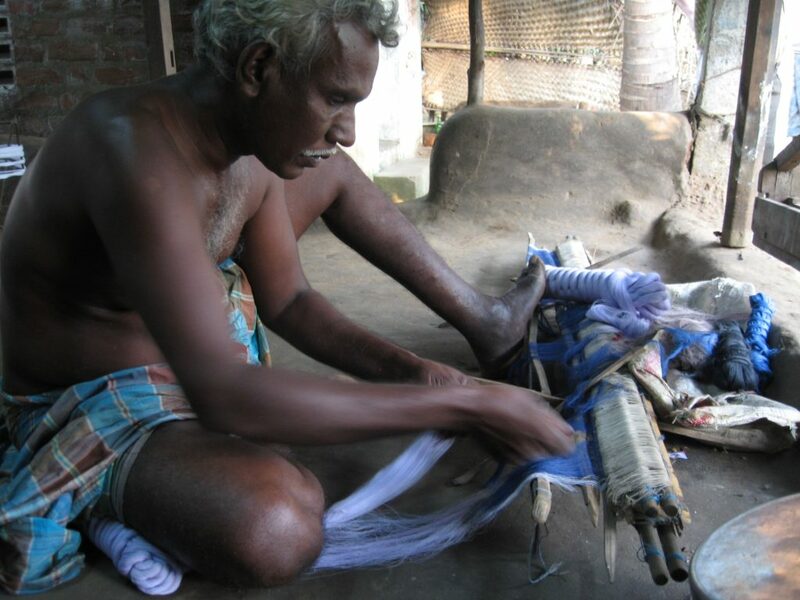 All our lungis are sourced from a long established Tamil Nadu cooperative. Handloom weavers benefit from centrally purchased raw materials, better market pricing, health and disability insurance, a pension scheme and loans. Encouragement, funding and resources from central and local government is aimed at providing a sustainable living in the villages, and an alternative to migration to the cities. Organic cotton eliminates the use of toxic chemicals by employing natural biological methods that have less impact on the environment. Our organic cotton source is accredited, and verifiable. The Cooperative is working on accreditation for a unit that has started production in the tribal areas. Dyes used are colourfast but non toxic.